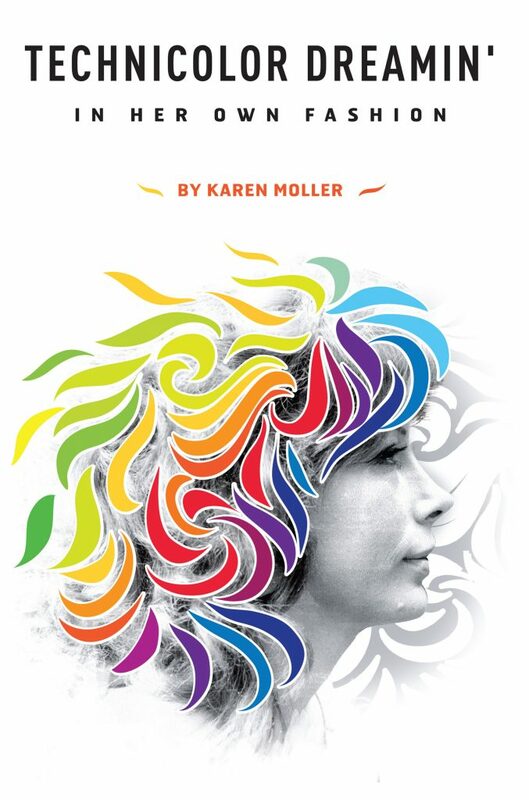 In Technicolour Dreamin’, Karen Moller has given us a personal and critical history of the counter-culture, from beatnik San Francisco and New York, to hippie Paris and London, to Fluxus, to the feminist and fashion revolutions, to the aftermath of it all. This is a delightful memoir by an artist and designer who has seen it all and done it all and who took good notes and thought hard about what it meant, all along the way. Karen was a witness and participant in the 1960s political protests, ecological, sexual and feminist revolutions that liberalized society and changed not only the way we dress but the way we think. In her third year of art school in Canada, inspired by Kerouac’s On the Road, she took off hitchhiking to San Francisco where she met Ferlinghetti and the beatnik poets. From there to New York and Paris, as an artist in training, she attended art classes, hung out at the Beat Hotel and participated in Poetry and Art Events, becoming friendly with artists and musicians, Robert Filliou, Daniel Spoerri, Jean Tinguely, Eva Appelli, John Cage, Andy Warhol, Yves Klein, Beuys’, Fluxus artists and Visual Poets.